Welcome back for another great Milton-Union School year! 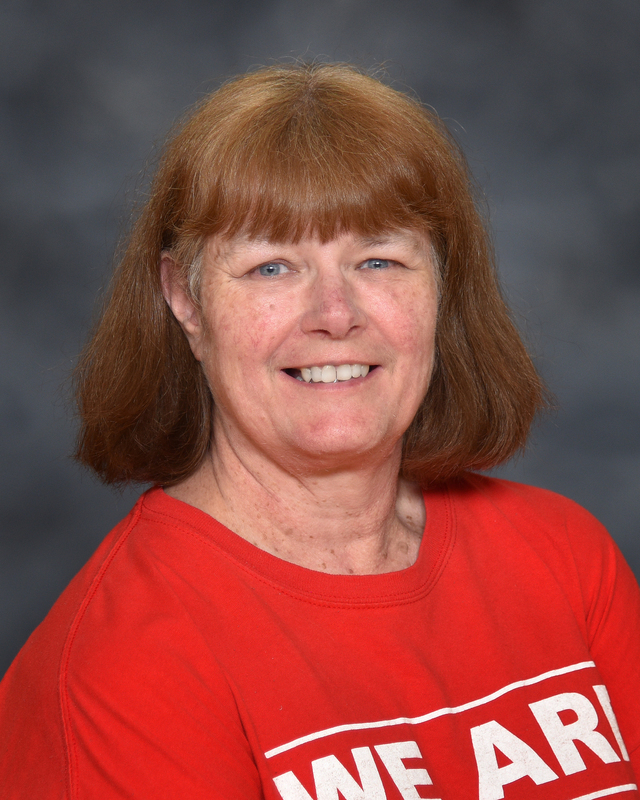 My name is Lynn Haupt, and I am the Cook Supervisor for Milton-Union Schools. If you have any questions or concerns regarding Food Service or Student Lunch Accounts, please feel free to call me at 884-7945. Have a great 2018-2019 school year! Every day at school we offer a wide selection of a la carte items. We have both hot and cold meals plus wrap sandwiches, salads, and snacks. Students can buy these extra items if they buy or pack a lunch. Students can purchase a carton (8 ounces) of milk (1% white, fat free chocolate, and fat free strawberry) for .50¢. This year we will continue to follow the USDA “Smart Snacks in Schools” guidelines. For more information go to www.healthiergeneration.org/smartsnacks. To review our menus (elementary, middle, or high school) go to www.muschools.com. For nutritional information, please call 884-7935. Offer versus Serve: We follow the “Offer Versus Serve” provision. Every day for breakfast and lunch the student is offered food from the following components (protein, grains, fruit, vegetables, and dairy). For breakfast, the student must choose at least 3 of the 4 breakfast food items offered from the components and at lunch, they must choose at least 3 of the 5 lunch food items offered from the components. Students are required to take ½ cup of fruit or vegetable at both breakfast and lunch. Offer Versus Serve allows students to refuse a food item they do not like, encourages freedom of choice, and eliminates excessive waste. Charging Policy: Milton-Union students are allowed to charge their meal if they have forgotten their meal or meal money. Students may charge 4 meals (-$10.00 for full pay or -$2.00 for reduced pay). Once the student reaches their charge limit, they will not be permitted to purchase anything in the cafeteria until their charge is paid. Students are not allowed to charge milk, snacks, or a la carte items. Please make sure your student has money on his/her account. Low balance reminders will be sent when balances fall below the notification levels and there is a weekly one call to remind parents of low balances. Free and Reduced Meal Applications: If you need help with meal costs, you can complete a Free/Reduced Meal Application. An application can be completed online at www.muschools.com printed and sent to Central Office. If you do not have access to a computer, you can receive an application by contacting the principal’s office to have one sent home with your student or call 884-7910 to request one mailed to you. Please return paper applications to the principal’s office or mail to Milton-Union Schools, 7610 Milton Potsdam Road, West Milton, OH 45383. Applications will be reviewed and an eligibility determination will be made within 10 working days upon receipt of the application in the Central Office. Our computer system insures your student’s confidentiality. COMPLETE ONE APPLICATION FOR YOUR ENTIRE HOUSEHOLD. If you need help with this application, please call 884-7910. If you fill out an application, please remember to send money or pack your student’s lunch until you receive a notification letter stating you have been approved for the meal program. You are responsible for any charges incurred before your application is approved. Any student who received free or reduced meals last year will remain on the program until the new 2018-19 application is processed or through October 4, 2018. If a new application is not received and processed by October 4, 2018, your student(s) will be removed from the free/reduced meal program and it will be your responsibility to pay for their meals. If you completed an application and have not received a reply, please call 884-7910. If you apply for Free/Reduced meals and are approved for free meals please complete and sign the “Sharing Information With Other Programs” fee waiver form. Direct Certification free students must return the “Sharing Information With Other Programs” signed fee waiver form in order to have their fees waived.